To simplify the events of the past couple days, Judge Wiley of the Berrien County Court, failed to comply with a Michigan Supreme Court order to "articulate the specific reasons" for confining Rev. 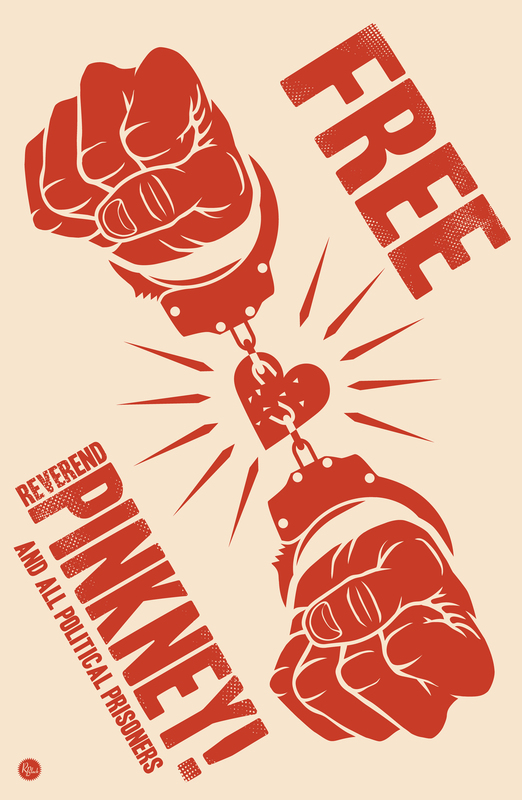 Pinkney to his home 24 hours per day, 7 days per week. His deadline was Wed. He ignored ACLU and other phone calls. INSTEAD, Wiley faxed the ACLU a "Notice to Appear" scheduling a hearing for Friday, May 22, 4pm. In addition to being the Friday before Memorial Day - yet another vindictive power play by Wiley - May 22 is nine days after the Supreme Court's clear 21-day deadline. To see a kangaroo court in action, this will be it. Berrien County government, particularly the courts, is nothing less than breathtaking in its Jim Crow audacity. St. Joseph exists as the stronghold of a modern day feudal satrapy with the liege's courts running interference for Upton/Whirlpool plundering. Benton Harbor, at least the portions of it not coveted for Harbor Shores exploitation, is their dumping ground, the City Commission an extension of the boardroom, the newspaper a corporate organ, the law enforcement community largely a vicious occupying army residents are compelled to finance. The games judges play there, like the extremely petty one highlighted above that Wiley is using to toy with the ACLU, are non-stop. Justice remains nonexistent and the law but a shield for scum to hide behind and use as their very own. While lion Rev. 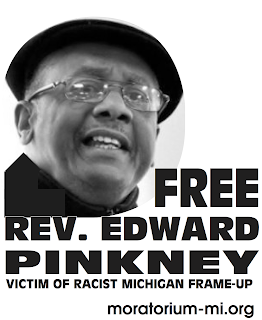 Edward Pinkney does time, southwest Michigan's prominent Left remains conspicuously unheard and unseen, Kalamazoo's "newspaper" seemingly shuttered already. This, in the face of a naked heist so the privileged few can have a Jack Nicklaus golf course on parkland given to Benton Harbor "in perpetuity." [For one of the most thorough summations of Rev. Pinkney's story, see MichiganCitizen.com, May 15: Appeals court to hear Pinkney defense] Story is now directly above this post.